We deliver infant formula, a segment in which we have been active since our foundation in 1917, as well as various baby foods. We convert milk protein to highly digestive peptides to reduce the amounts of allergens contained (not intended as a product for the treatment of medically recognized milk allergies). 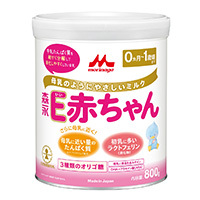 Formulated with three kinds of mixed oligosaccharides to more closely approximate breast milk. Based on the latest breast milk research results, we balance the amounts of lactoferrin, DHA/arachidonic acid, three kinds of oligosaccharides, and other nutrients to bring the formula closer to actual breast milk. 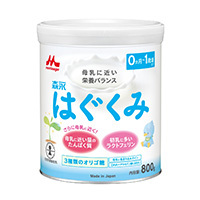 A powdered follow-up milk that effectively complements iron, calcium, and other nutrients that tend to be deficient in infants aged one year or older. 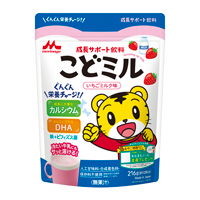 "Lactoferrin" and "DHA," two nutrients important for the growth of children, are formulated in appropriate amounts. 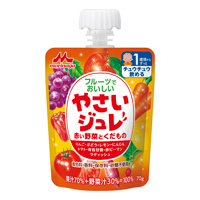 A jelly containing abundant vegetables and fruits without colorant, fragrance, preservatives, or sugar A pouch container with a straw designed for easy handling by children. 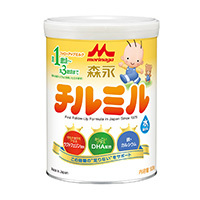 A growth-support drink containing “bifidobacteria” that reach the intestines while still fresh, along with calcium, iron, and other nutrients important for the growth in early childhood. Contains no artificial sweeteners, synthetic coloring agents, or preservatives.